We are a leading Manufacturer of eye bolt from Kolkata, India. Our domain expertise has enabled us to come with a premium range of Eye Bolt. 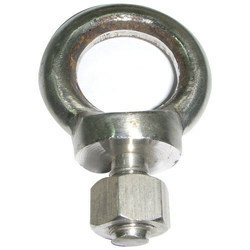 These eye bolts are manufactured using high grade steel which we source from authentic vendors of the market. All the products offered by us are designed in compliance with industry laid norms and guidelines. Owing to features such as long functionality and anti-corrosive nature, these eye bolts are widely appreciated in the industry. Clients can avail these products from us in various shapes and designs as per the requirement of the client. Looking for Material Handling Accessories ?